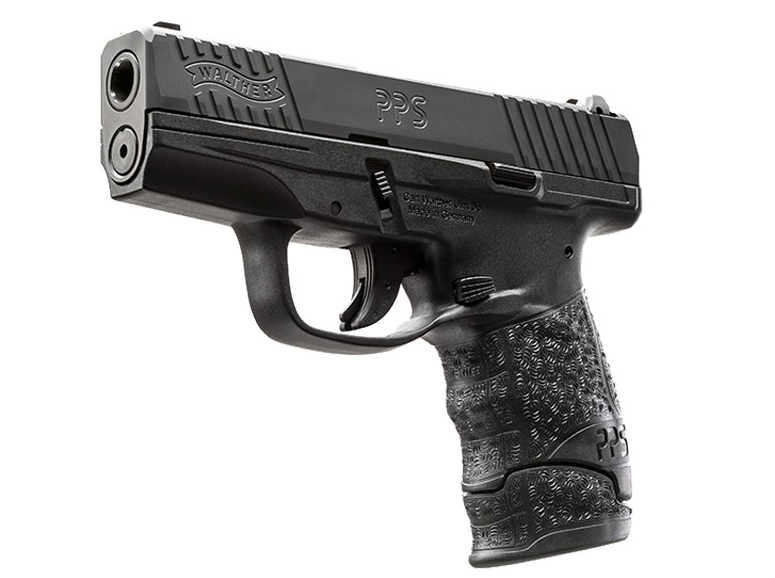 Walther Arms has released a variation of the PPS to the market, the PPS M2. 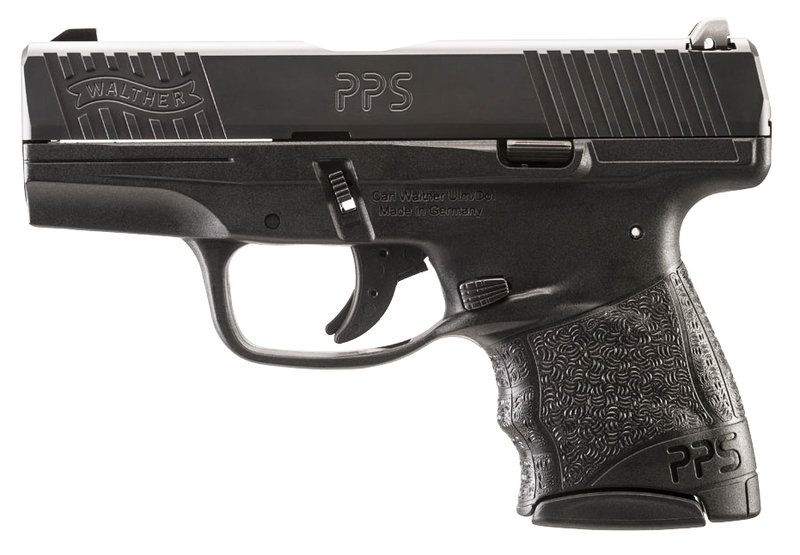 The new PPS M2 has rounded looks that are more sleek than its blocky Teutonic predecessor, which is now called the PPS Classic. The 9mm M2 is shipping to local gun stores now. A .40 cal. version will come in the Spring of this year. The PPS M2 retains the same dimensions and basic functionality of the Classic, but the M2 has had its ambidextrous paddle mag release and Weaver rail eliminated. The magazine release is now a left side button. The PPS, or Polizei-Pistole Schmal, was introduced in 2007 and has been wearing the same dress to the dance ever since. The M2 is gussied up with ergonomic improvements which I think will be a hit with American buyers. 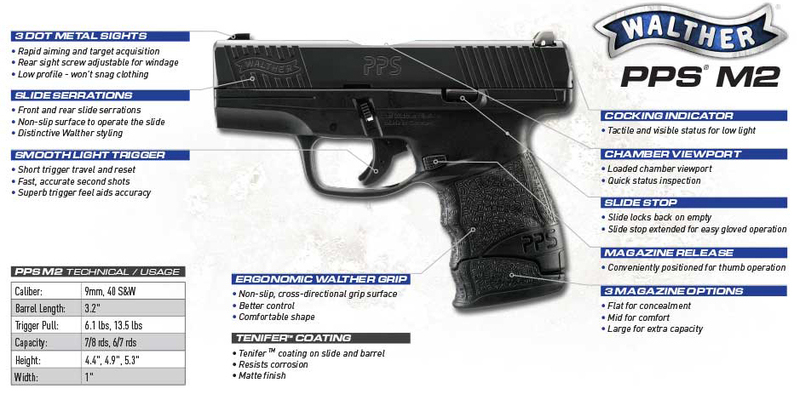 Walther says the PPS M2 9mm basic version will retail for $469.00. The LE version with night sights will have an MSRP of $499.00. 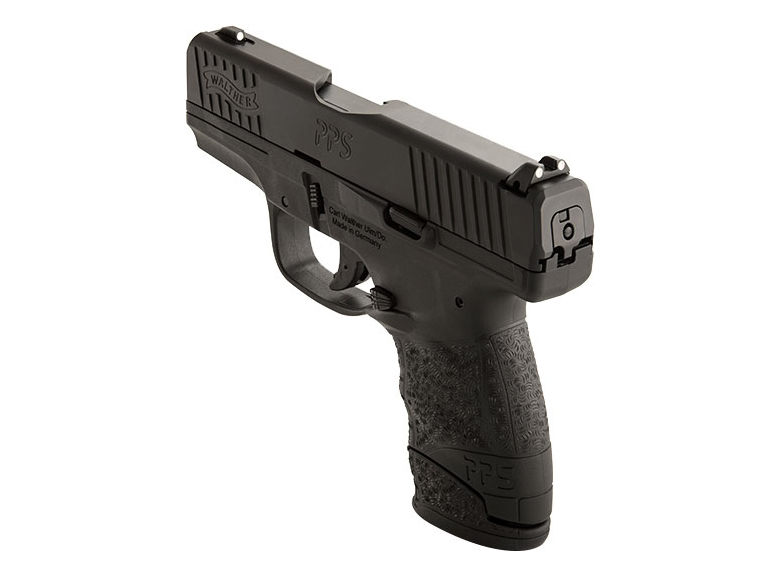 Photos and Video: Walther Arms, Inc. This entry was posted in Concealed Carry, Firearms, Off Duty and tagged Concealed Carry, concealed carry gun, Police Back-Up Gun. Bookmark the permalink.